Being based in Huddersfield, we couldn’t overlook the success of our local football team Huddersfield Town FC, which is now in the Premiership! After a flying start beating Crystal Palace away from home 0-3, fans are looking forward to a stellar lineup of fixtures, with highlights including Liverpool away at Anfield on Saturday 28 October 2017, Arsenal away at the Emirates Stadium on Wednesday 29 November 2017, Manchester United away at Old Trafford on Saturday 3 February 2018, and Chelsea away at Stamford Bridge on Saturday 21 April 2018. For those that want to take full advantage of their local team making it to the top flight, we can transport you in style from Huddersfield to the big games and back. Get in touch using the contact details above/below to find out more! See the full Huddersfield Town FC 2017/2018 fixture list here. Cruise holidays are the perfect way to get away from it all on an extended trip, providing the opportunity to see lots of new places while enjoying luxury travel. 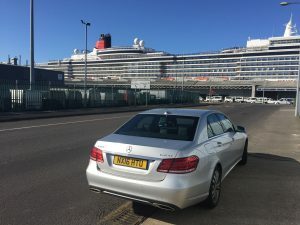 But if you are going for more than a few weeks, you’ll need plenty of luggage and if you’re based up in Yorkshire, getting to Southampton can be the most difficult bit of the journey. At Elite Voyager, we can take the stress and hassle out of getting to the Mayflower Dock by transporting you there from your door in comfort and style. Our luxury vehicles have plenty of space for all your luggage and you can enjoy a relaxing start to your holiday. Get in touch using the contact details below to find out more. We’re hiring professional drivers based in Yorkshire! Do you know someone with excellent driving skills and a private hire license? We’re looking for friendly and professional Yorkshire-based drivers to join our team! 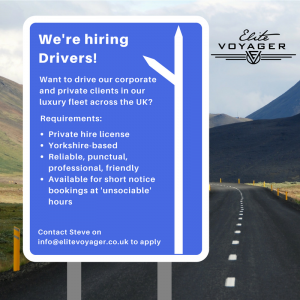 Want to become an Elite Voyager Driver and get the opportunity to drive our luxury fleet across the UK? Contact Steve on info@elitevoyager.co.uk to apply. The fixtures for the 2018 Rugby Six Nations Championships have been announced. If you’re lucky enough to get tickets for England vs Wales on 10 February or England vs Ireland on 17 March (St Patrick’s Day – should be an interesting one!!) at Twickenham, don’t forget to book your luxury transport to and from Yorkshire with us to avoid the queues/hassle and make it a day to remember! See the full fixture list here. As prom season approaches, prom organisers are in full swing booking venues and entertainment for the big day. Often transport is left for individuals to book themselves as an optional luxury extra. After a quick search on Google, you’ll see that many companies offer a ‘prom limo’ service but how do you know that you are booking a reliable, safe service for your children/students? Teenagers that want to choose and book their own transport will be most interested in the style of the vehicle and the price but they should be encouraged to place just as much importance on who will be transporting them. Ask if the vehicles have mobile Wi-Fi – we know how popular this is with teenagers as often the fun and excitement starts on the journey to the venue! Visit www.elitevoyager.co.uk or call me (Steve) on 07973287873 for more info. Stage 3 of Tour de Yorkshire 2017 to come through Huddersfield! We’re excited for stage 3 of Tour de Yorkshire 2017 to come through our hometown of Huddersfield on Sunday 30th April! Know anyone coming to our beautiful county for the event from abroad? We’re available for luxury airport transfers and to chauffeur people around across the three days. Read all about it in the Huddersfield Examiner. Yorkshire is host to some of the UK’s most high profile events at venues like Harrogate International Centre, the Royal Armouries in Leeds. 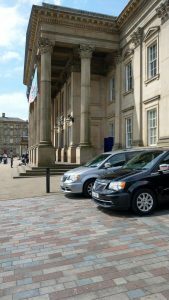 These events cover a wide range of topics: For example, we recently chauffeured a group to the Institute of Architectural Ironmongers conference at Briar Court Hotel in Huddersfield and the 22nd IEEE International Conference on Automation and Computing, which is attended by some of the world’s leading technology thinkers, will take place at the University of Huddersfield in September 2017. Conference organisers have a lot to think about when it comes to co-ordinating all the people and resources involved in pulling off a seamless event with an international audience. Ensuring that high profile speakers, exhibitors and sponsors are well looked after is often at the top of their list. A delayed or disgruntled speaker can throw the whole programme off track! At Elite Voyager, we take one head ache off your hands by ensuring that your conference ‘VIPs’ make it to the event on time and in style. Our professional, reliable, friendly drivers can ‘meet and greet’ individuals or groups from any UK airport in our fleet of luxury vehicles which include features like mobile wifi and plenty of space for luggage. You can even get an instant quote and book online via our website. Making your Christmas party a special occasion is an important task for office managers and personal assistants; providing hard-working employees with the opportunity to not only let their hair down but also socialise in an environment outside of the corporate office. To give your event the added edge, why not arrange luxury transport for your loyal team members? Starting the night with a stylish touch, senior staff and deserving team members can be transported in premium vehicles allowing for a door-to-door service. 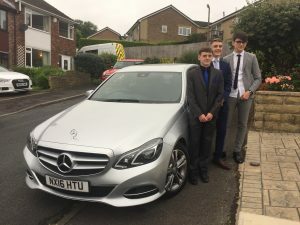 Our suited chauffeurs will arrange a pick-up location to collect employees in our fleet of top-of-the-range vehicles, including a Mercedes V Class people carrier which seats six – perfect for collecting larger groups and taking them direct to the party! 1. Set a clear budget which includes transport: Having a budget in mind which includes transport is one of the first things to plan for. Knowing this before making enquiries will give you an idea of how extravagant you can be. 2. Have a ‘surprise’ element which employees won’t be expecting: We’ve all been to business events which are the same as the previous year, so make sure you mix things up a bit. Small touches like luxury transport for employees will make your event a hit before they’ve even arrived! 3. Allow plenty of time: Christmas is a busy time for everyone, in both business and personal calendars. Make sure you book venues, catering and transport far enough in advance to guarantee the ideal date for everyone. If you’re looking for luxury transport to your corporate Christmas party, contact us for an instant quote. 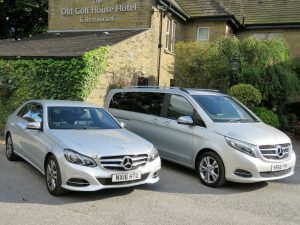 Elite Voyager is an executive travel chauffeur hire service based in Huddersfield, West Yorkshire. 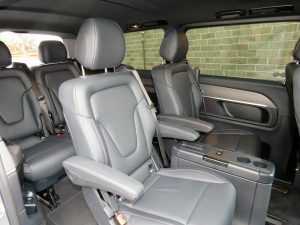 With a luxury fleet of vehicles and a team of professional, fully licensed drivers, we offer Yorkshire-based businesses and organisations (including private hospitals/schools) with international executive travel needs, a first class meet-and-greet transfer service to and from Manchester, Leeds Bradford, Heathrow, Liverpool and Gatwick Airports and private jet terminals. We provide those responsible for booking executive travel, including Personal Assistants, Executive Assistants, Executive Secretaries, Office Managers and Facilities Managers, with peace of mind that passengers will receive a warm welcome and luxury experience at a reasonable price. Get an instant quote on our website.